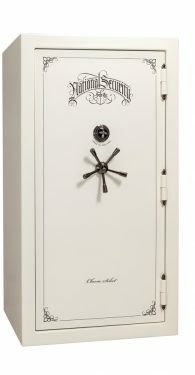 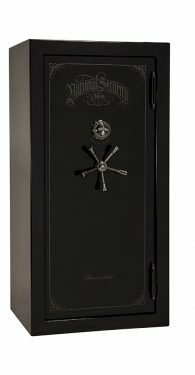 National Security safes are available in 10 high gloss automotive finishes and 3 different hardware finish choices. 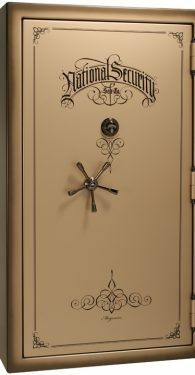 A classy feathered edge paint scheme is available on 4 colors. 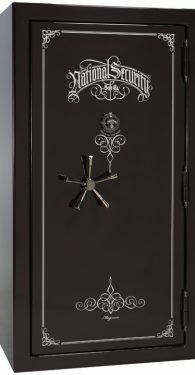 External Hinges, off-set handle (Magnum) and detailed scroll work add to the Old-West style. 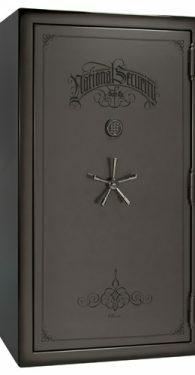 The Magnum Series comes standard with Liberty’s highest 1200 Degree/2.5 HOURS of fire protection and the highest security rating available. 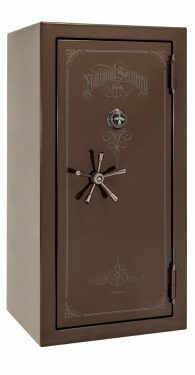 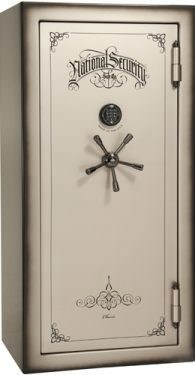 National Security safes offer: GX-480 gear drive mechanism, the best in its class to resist side punching, drilling or punching, UL™ Certified as a Residential Security Container (RSC) burglary classification and ball bearing steel hardplate shatters drill bits defeating lock drill attacks. 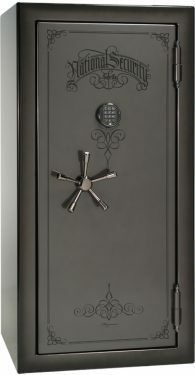 All National Security safes include S&G’s upgraded 6730 mechanical lock. 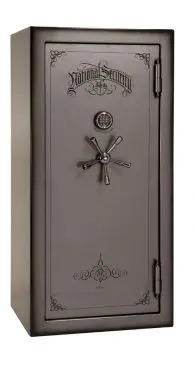 National Security gun safes are standard with LED lighting, jewelry drawers, electrical outlets with CAT 5 and USB connectors and in all the colors available. 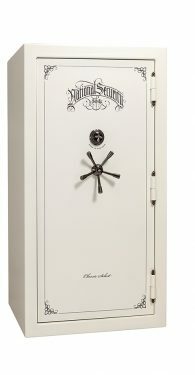 The National Security Classic Select series (Classic Select 25, 40, 50 and Classic Extreme 60), Classic Plus series (Classic Plus 25, 40, 50) and the Magnum series (Magnum 25, 40, and 50) are on display in our Ontario showroom and are sure to be on your short list for the safe you want.